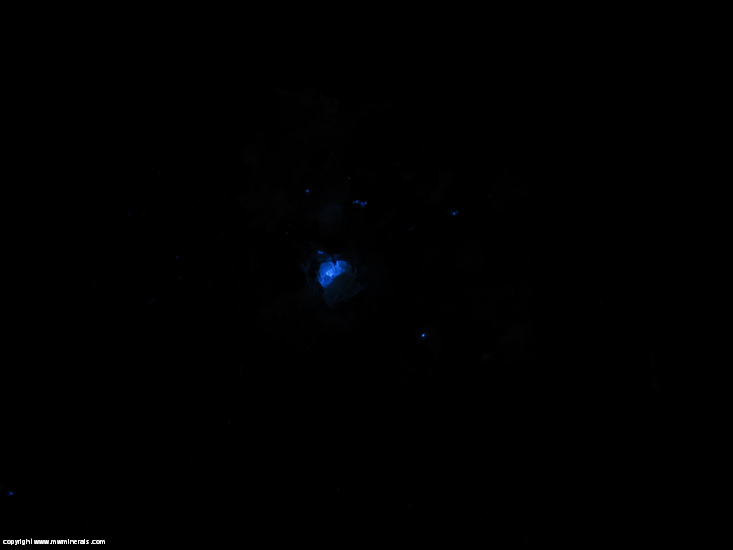 Within a vug on this speicmen, there is a light brown colored Scheelite crystal which fluoresces the typical bright blue/white typical for the species. 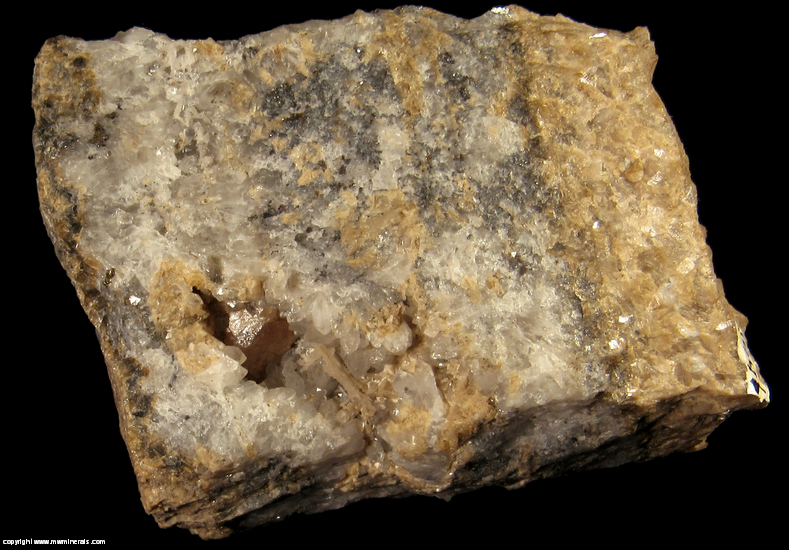 There is also an interesting, elongated, complex crystal in the vug of an unidentified material. The old labels mention Reinite, a variety of Ferberite. 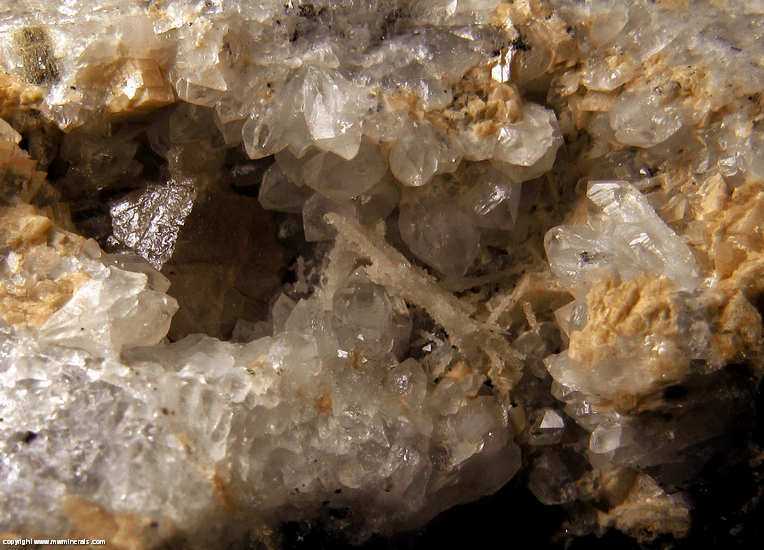 Examination under 10x does reveal a number of small, elongated, black crystals which do appear to be Ferberite. 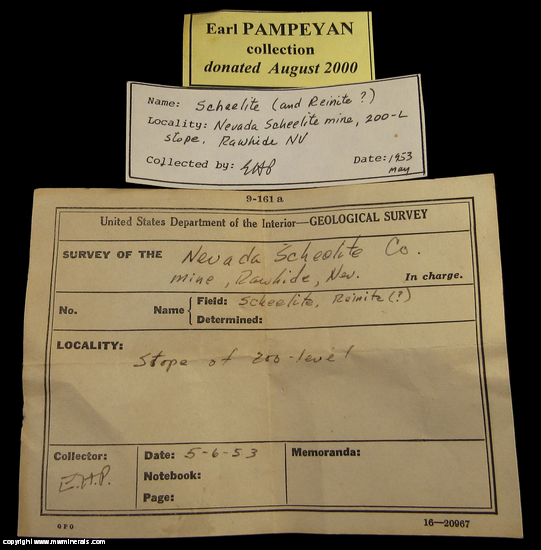 The specimen is from an obscure location (no specimens posted on mindat). 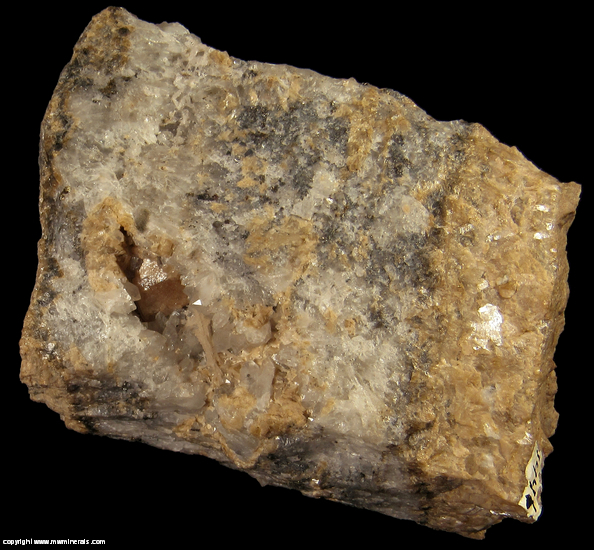 Flaws: Although mostly masssive material, the Scheelite crystal is in excellent condiiton.